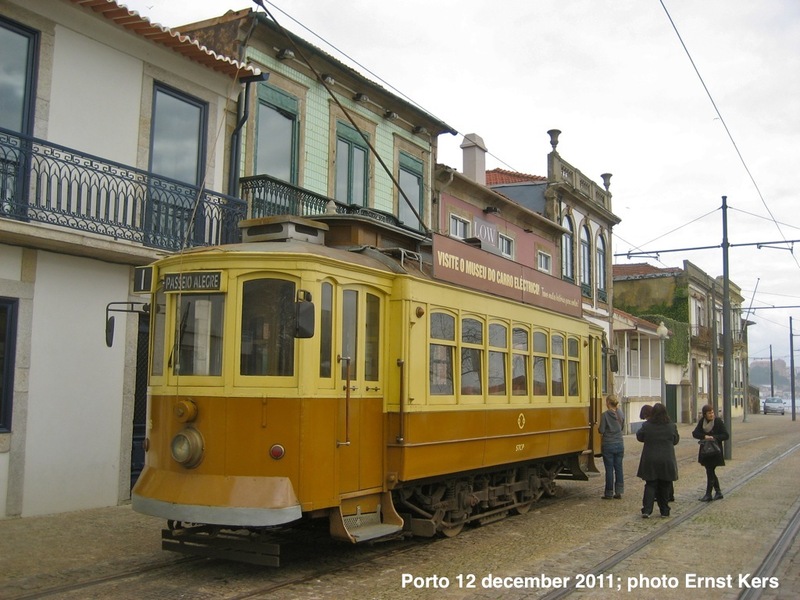 On 9 March 2012 it was 140 years ago that the first mule tram service in Porto was started between Alfândega and Castelo da Foz. 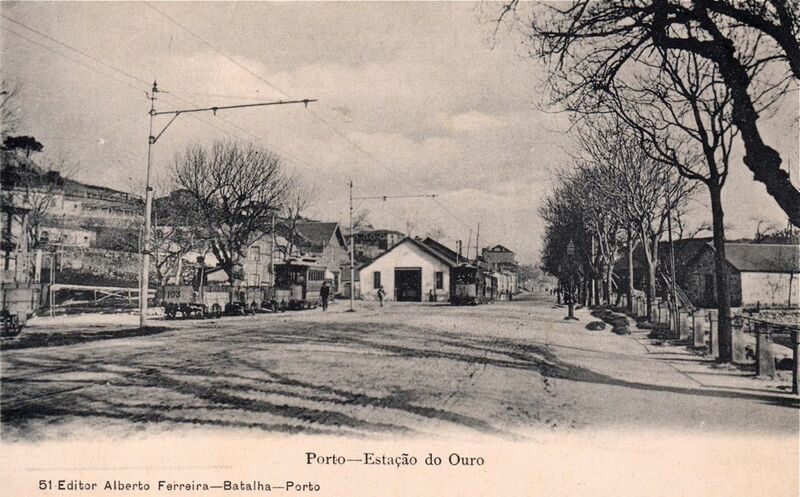 This was the first part of the line Porto – Foz – Matosinhos. 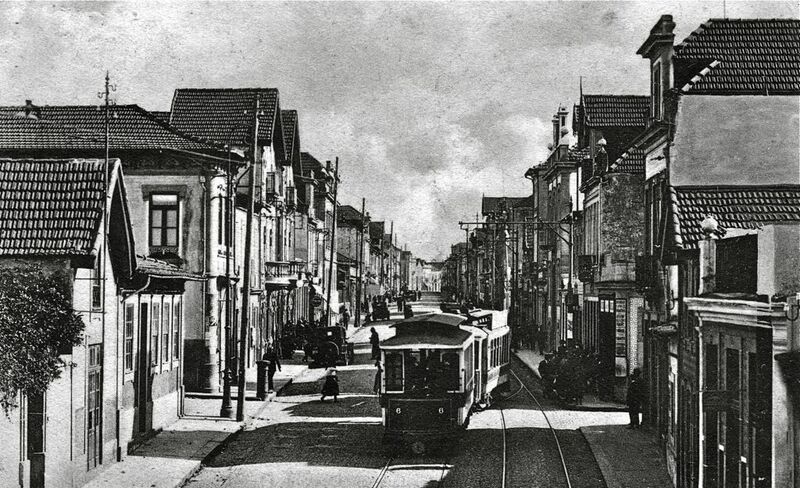 In Porto the intended terminus was Rua dos Inglezes, now called Infante, but the part between Rua dos Inglezes and Alfândega was not yet ready. Also the part from Foz to Matosinhos was still under construction. 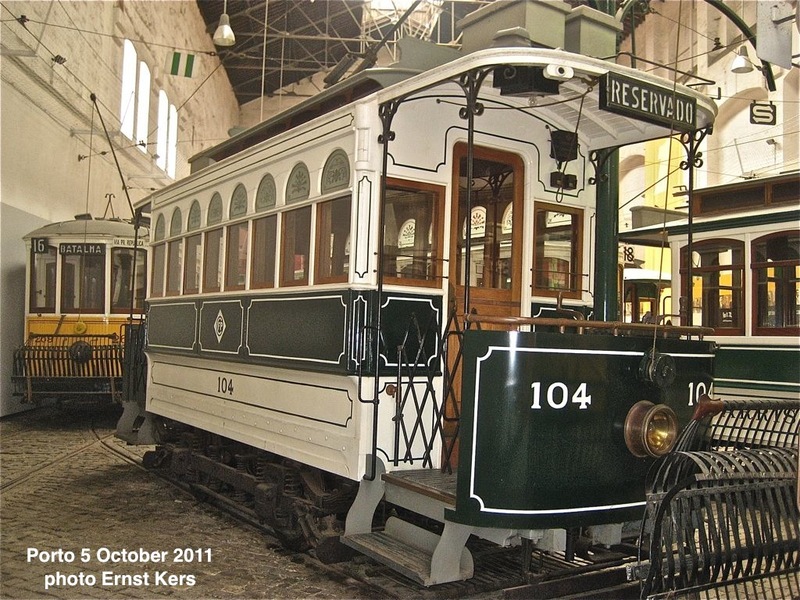 The first two tramcars for this line arrived already in September 1871. In October a long period with trials started, something which turned to be necessary as these first trams appeared to derail very often. These first tramcars were of a type popular in the USA in the 1860’s: closed with longitudinal benches. At both sides they had eight windows with above them semi-circular decorated ground glass windows. 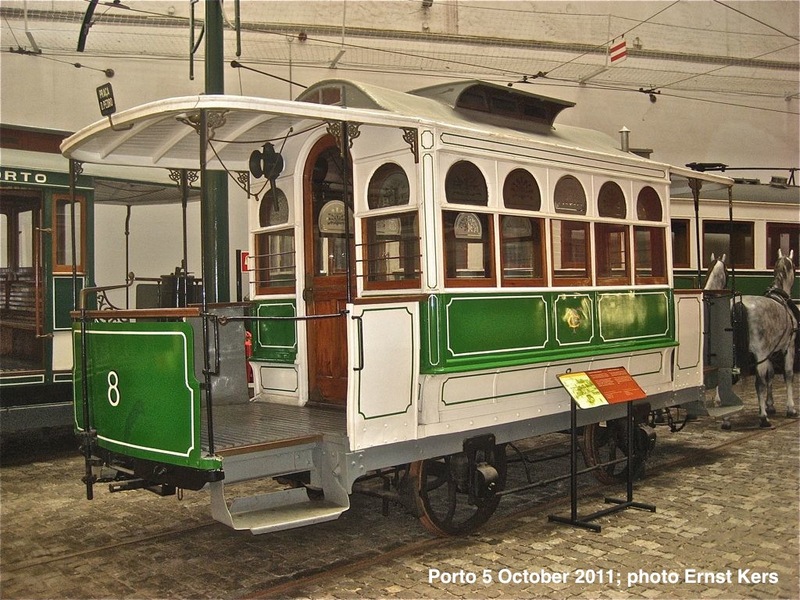 Also in October 1871 an open cross-bench tramcar arrived in Porto. In February three more trams arrived. From March 9th 1872 the public could use the trams. As the line was not yet completed, the official opening was scheduled to be done later. 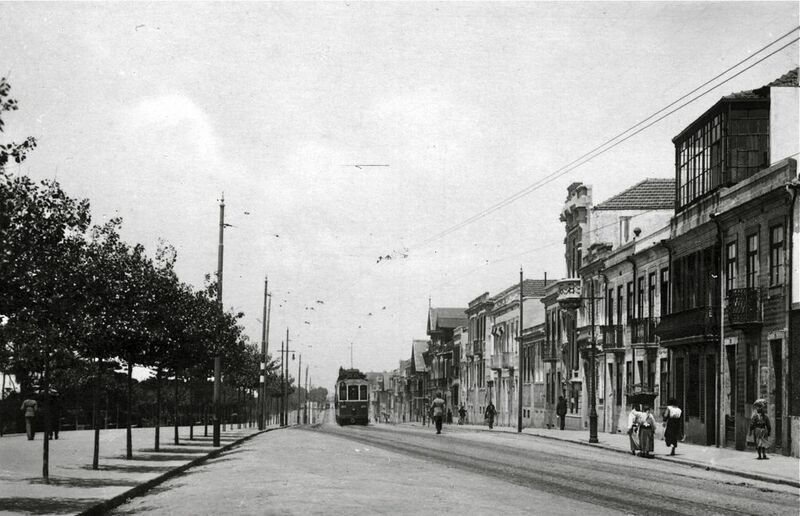 The trams were riding every half hour from 6 in the morning until 8 in the evening. On 3 May six more tramcars arrived. On 12 May test riding started between Foz and Matosinhos and on 15 May the official opening festivities took place. 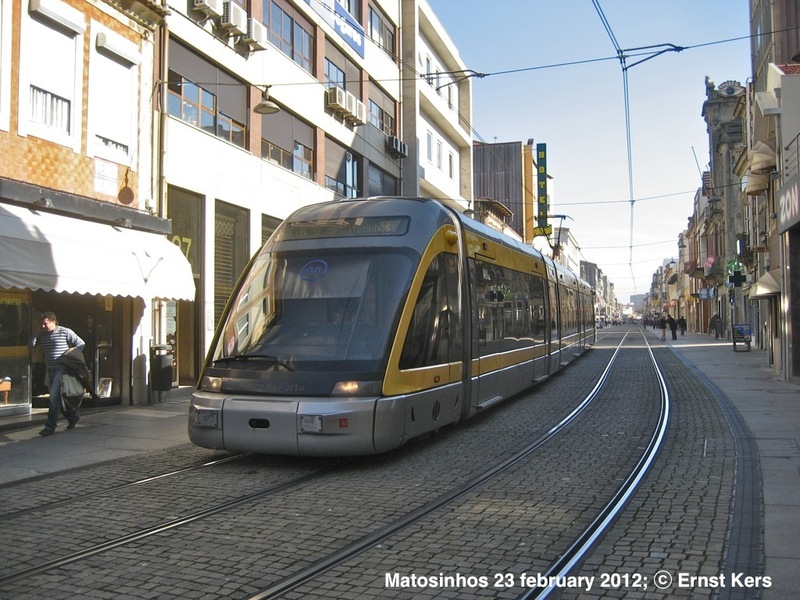 On 18 May service started to Matosinhos and on 24 May the tram service was extended from Alfândega to Rua dos Inglezes. The travel times from Rua dos Inglezes were 35 minutes to Foz and 60 minutes to Matosinhos. In 1887 the line was extended from Matosinhos to Leça de Palmeira. For crossing the river Leça an iron bridge was build. The line was electrified in 1896/7. 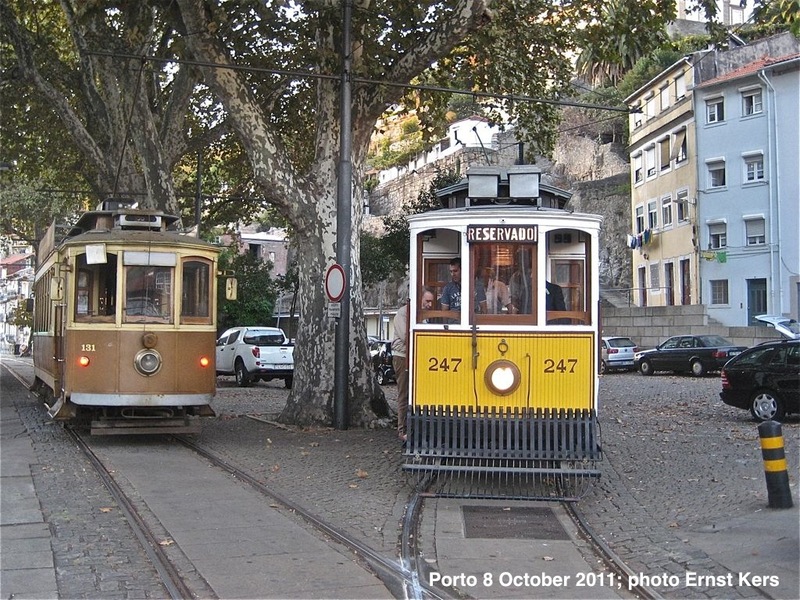 In Porto the line was extended from Infante to Praça Dom Pedro, now Praça da Liberdade. When route numbers were introduced in 1912 this became line 1. 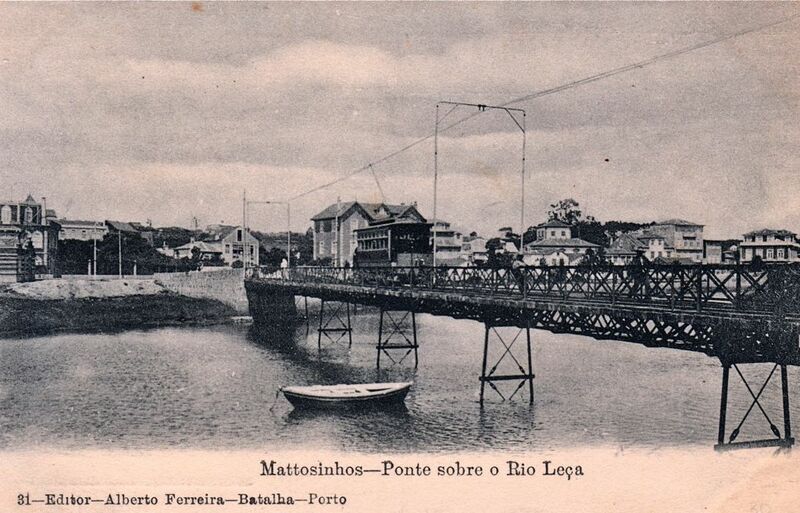 In the late 1930’s the digging of the first dock of the harbour of Leixões started. This meant the end of the iron bridge across the river Leça. The route to and in Leça da Palmeira was relaid. 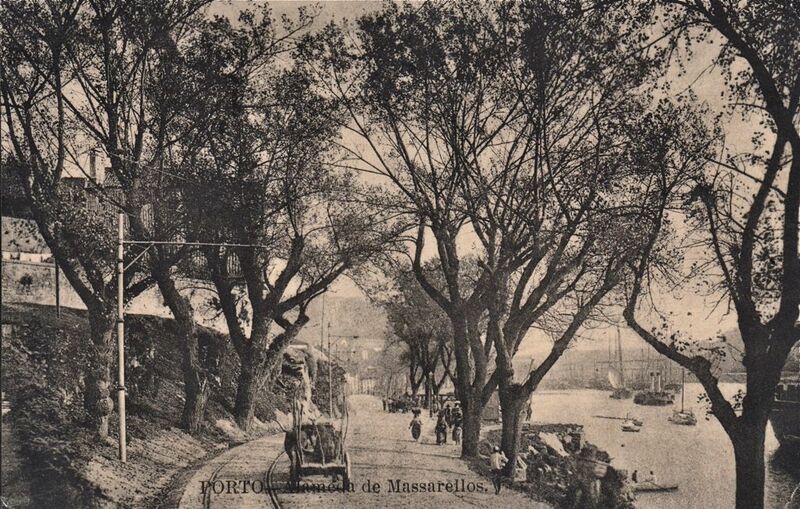 The digging of the second dock of Leixões resulted in the cut back to Matosinhos in 1960. Here a new stub terminus was made next to the market hall. In 1968 line 1 was cut back at the other to Infante. 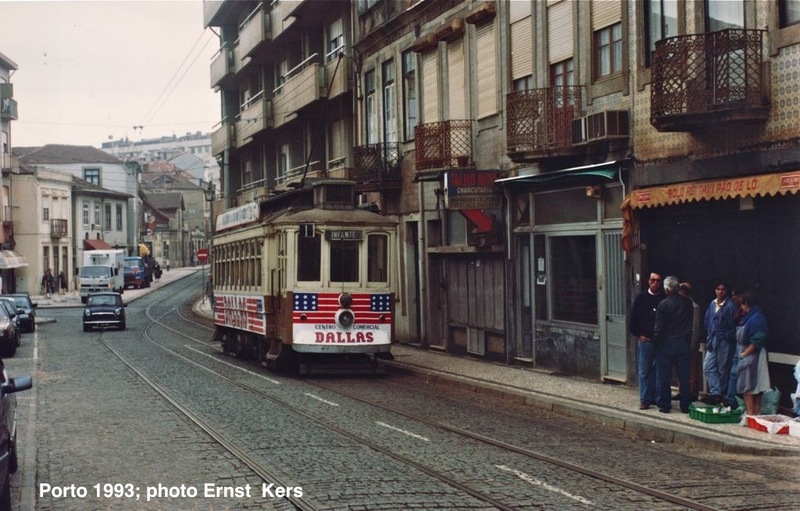 In September 1993 line 1 was cut back from Matosinhos to Castelo do Queijo and a year later abandoned. Line 18 still used the part Massarelos – Foz – Castelo do Queijo until 2000. 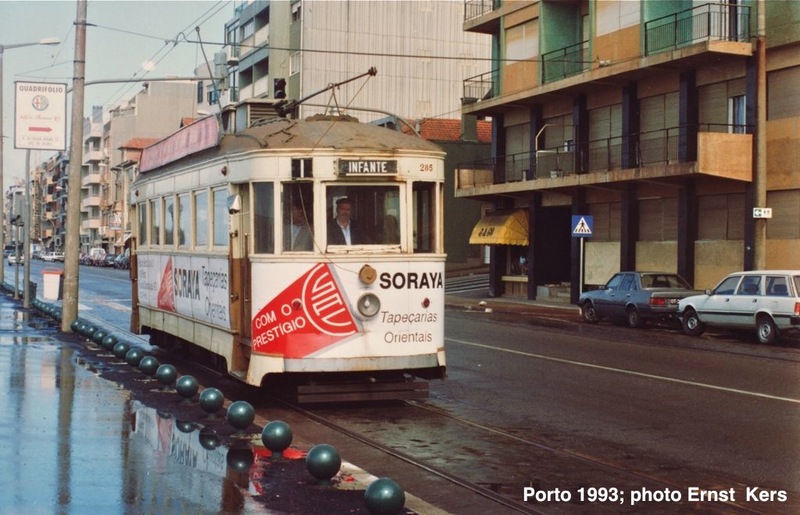 In 1999 new rails was laid on the route between Infante and Massarelos and line 1 was introduced again as part of the heritage tram. 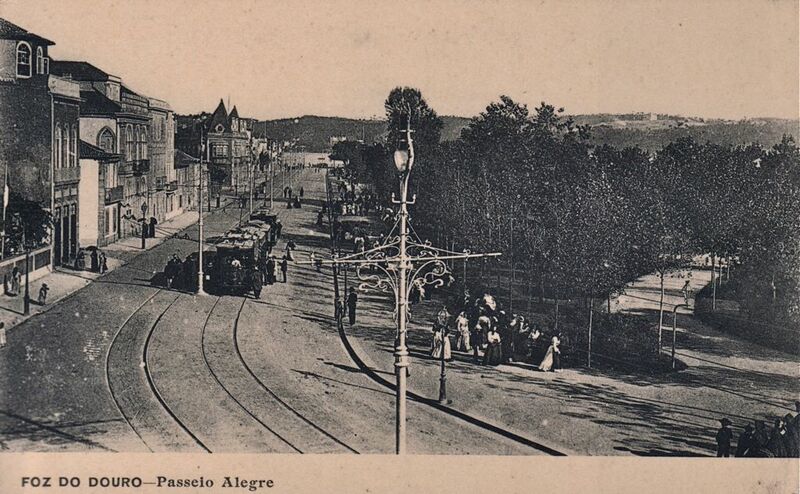 Some years later also the part between Massarelos and Passeio Alegre in Foz was renewed. Heritage tramline 1 has now the route Infante – Foz (Passeio Alegre). 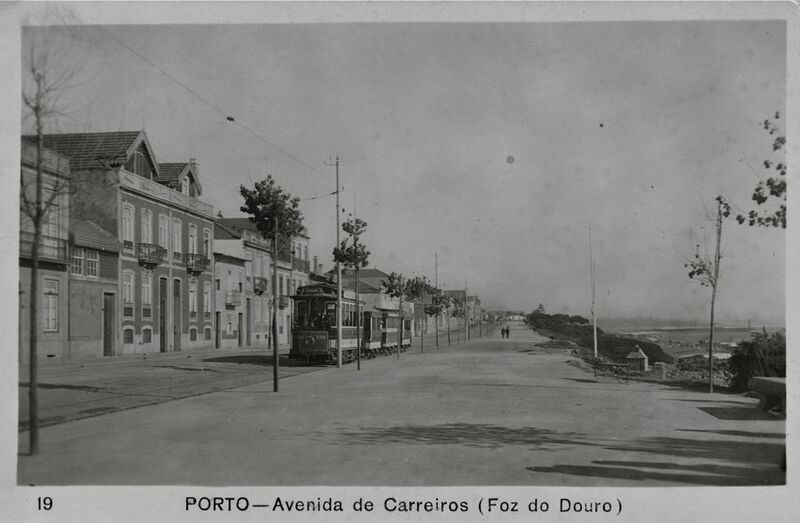 Also in Rua Brito Capelo in Matosinhos trams returned. 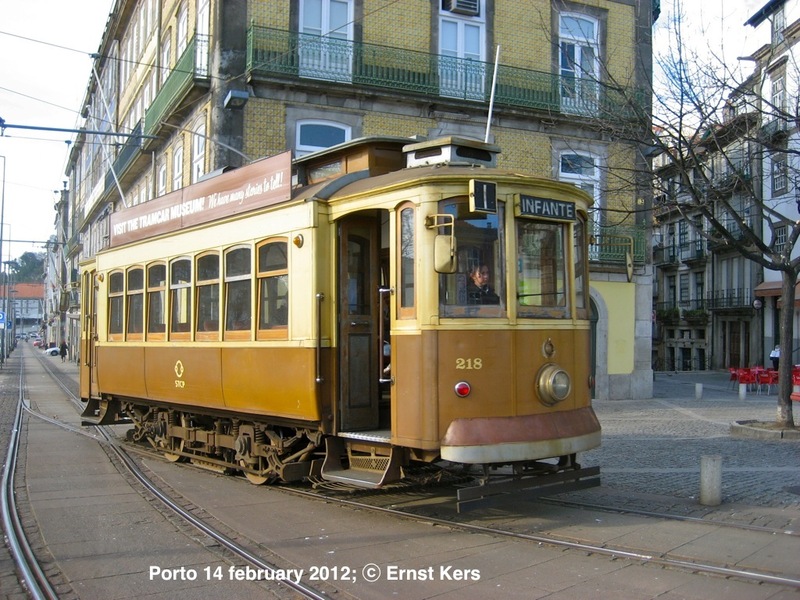 But in this case the modern trams of the Metro do Porto, which opened in 2002, just nine years after closure of the old tramline. Of the old trams dating from the beginning of the line a few were converted to electric trams while others became trailers. One of the electric trams converted out of one of these old cars survived until the late 1950’s. In its last years it was used for driver training. Of this car a replica is made for the museum in 1997. A few other cars survived as trailer until the mid-1960’s. One was sold to the museum in Crich, another, smaller car was kept for the museum in Porto. 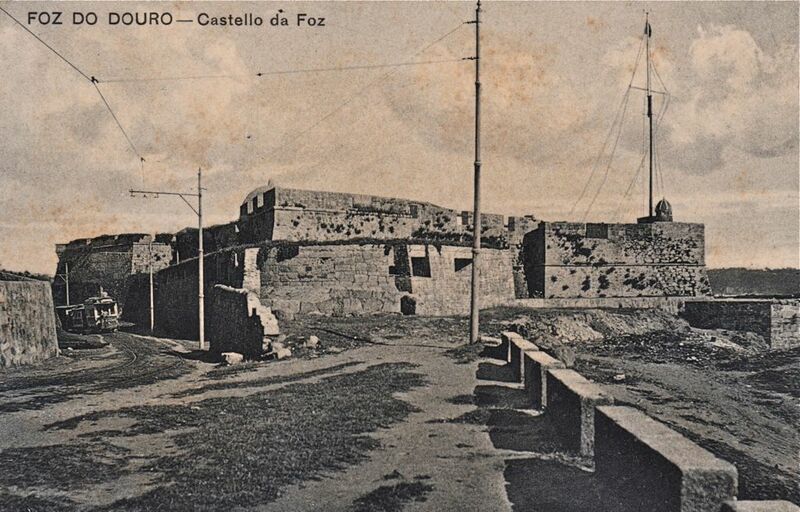 Dit bericht werd geplaatst in History en getagd Alfândega,Arrábida,Avenida do Brasil,Castelo do Queijo,eléctrico,Foz,Foz do Douro,Infante,Leça,Leça da Palmeira,Lordelo do Ouro,Massarelos,Matosinhos,Miragaia,Porto,Porto tram,tram door Ernst Kers . Bookmark de permalink .